Who am I? I am Redeemed! God always keeps his promises. He promised he will always be with us, for us and never leave us. Yesterday, today and forever, we are encircled by more love than we could ever imagine. Christ’s cross without the empty tomb would have never changed the world. 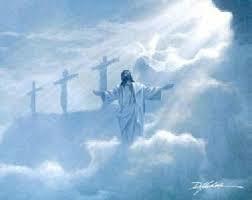 In the resurrection, amazing grace rained down upon the earth. He was coming to us long before we were born. He was coming to us when we didn’t even know we needed him. The Lord himself has been claiming us for all eternity. His promise continues: despite every possible obstacle, the redemptive work of Christ is flourishing still. Ephesians 1:7 tells us, “In him, we have redemption through his blood, the forgiveness of sins, in accordance with the riches of God’s grace.” Christ emptied himself so we could be filled. He chooses us and says, “I love you. You belong to me now.” Christ laid down his life as a bridge – inviting people to walk across into relationship with God. We are no longer our sin or struggles, but are redeemed by the One who makes us his children. His sacrifice allows us to bring our brokenness and hurts and lay them at the cross. We can place our confusion, fear and questions there. Because of the empty tomb, he meets us where we are. He knows our circumstances. He understands our needs and our desires. Full of compassion, God is our companion, caring for us in ways we can’t comprehend. Everyday, always. This entry was posted in Uncategorized on July 22, 2017 by Myra Wells.